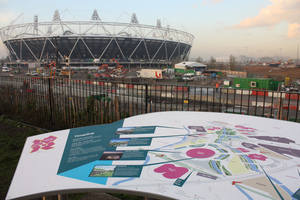 Wellcome Trust Bidding For Olympic Park? Lindsey Wellcome Trust Bidding For Olympic Park? Wellcome Trust today confirmed that they have been shortlisted by the Olympic Delivery Authority for the purchase and long term management of the residential properties known as the Athletes Village. As big fans of Wellcome Library and Collection, what's even more exciting is news that the Trust are considering how they might help "optimise the legacy of the Olympics" and are consulting stakeholders as to what this might mean. Reports that Wellcome has already offered £1bn to buy the rest of the Olympic Park are unconfirmed (but dead good). The sniff of a science and technology park for Lizzy Park is the most welcome legacy rumour so far.